The 1930 and 1940s can be considered the golden era for the gangster picture, movies that captured the attention of countless movie goers looking for thrills and chills initiated by some of the most memorable anti-heroes cinema has ever seen. 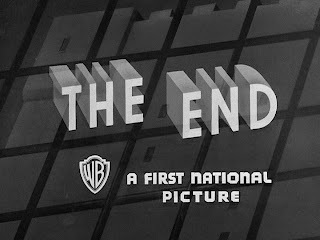 Warner Brothers studios was the principle producer of this fascinating genre, with many of the entries dealing with varying sub-themes such as the rise and fall of criminals and capitalist America (a dark twist on the notion of the American dream, if you will) and the hot topic of the 1930, prohibition. Some however, ventured into different territory, such as what happens after the crooks are caught by law enforcement and thrown behind bars. Enter the jail movie, where instead of pushing people around in the free world, the gangsters are forced to understand new survival modes in a world where their freedoms no longer hold any meaning. 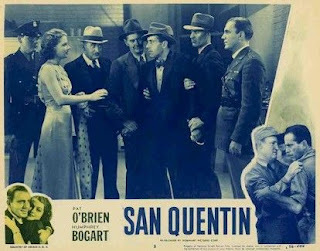 Workhaholic director Lloyd Bacon was brought in to direct one such movie, San Quentin, in which Pat O’Brien plays Jameson, the new yard captain at the famous prison. A career military man but often soft spoken, Jameson believes that strict regulations and no-nonsense disciplinary measures are the most effective tools in setting those inmates willing to be better people on to a path of redemption. 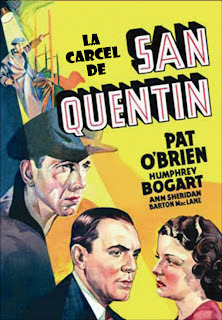 Matters grow complicated whereupon Jameson learns that May (Ann Sheridan), a singer at a local night club, and Red (Humphrey Bogart), a newly admitted inmate prone to troublemaking, are in fact brother and sister! While May has followed a decent path, preferring an honest living by singing fancy love songs and charming the pants off of the male customers as she walks around the tables and gives them pretty eyes, Red’s history is muddled in petty crime and debts. Jameson, stuck in the middle with his heart reaching out towards Belle and his concern with Red’s ability to do away wih his knack social deviance. At first May is unaware of Jameson’s line of duty, believing her beau to be some sort of military officer. News of Red’s solitary confinement after yet again blowing off steam at the wrong time is frustrating for her, believing prisons to be bestial caverns where souls go to rot. This naturally discourages Jameson from revealing the nature of his profession, only further rendering matters uncomfortable when Bella inadvertently discovers that truth one day while visiting her brother at San Quentin. The fact of the matter is that the entire ordeal becomes something of a mess. Jameson honestly believes that some form of good rests within Red but which is consistently pushed back by the criminal’s wilder ways, it only requires a push. May is far less convinced of a prison’s capacity to bring the good out of people and bemoans her brothers lot (although she recognizes that Red has not be a law abiding citizen). Red, stuck in the middle, frequently flip flops between being a model inmate desiring to earn a passage out of jail and a scoundrel. The trio of lead actors all give some wonderful performances, although Ann Sheridan naturally gets less important screen time than her two male co-stars. This is often the case in the 1930s and 40s Warner Bros. gangster pictures in which terrific actresses were hired for roles that did not require any remarkable character development or depth, a few exceptions notwithstanding. Leave behind all notions of talented Hollywood women landing absolutely thankless roles, prohibiting them from exposing their undeniable talent. That being said, it was probably more difficult for them what with limited screen time and a limited range of roles. 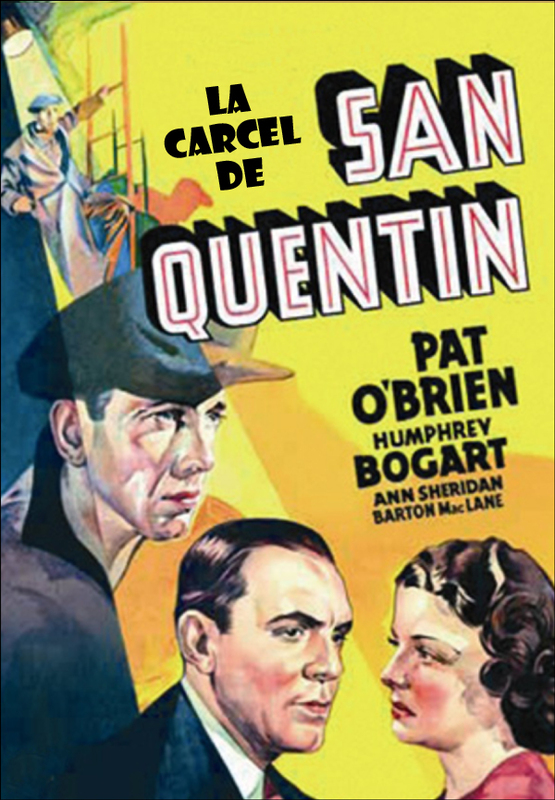 The best could still shine under the spotlight awarded to them, like Ann Sheridan does in San Quentin, taking on the role of the voice of reason from the outside of penal system. She is good, very good in fact, even though her character is very much a damsel caught between a rock and a hard place (a lover who disciplines her brother strictly and a brother who needs discipline). As can be expected, it is the male leads who have the truly memorable scenes. O’Brien is particularly interesting in how the strictness and severity with which he rules his animal kingdom is balanced out by a relatively calm demeanour. His soft spoken mannerisms are honest however, there is no ugly beast hidden behind. His military experience has taught him that following specific rules and punishing those who disobey them will lead to good things, for those willing of course. His sincerity is only matched by the seriousness dictating his disciplinary methods. 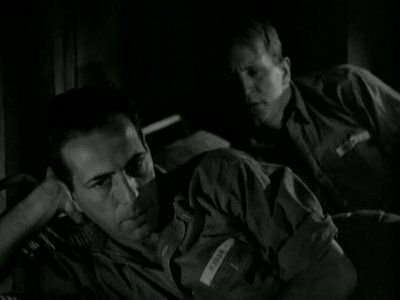 Lastly, Humphrey Bogart gives a nuanced performance as Red. He knows he has been a cheap skate for much of his life, yet his more basic instincts compel him to make the wrong decisions at the wrong time, such as a prison escape attempt. At one point, Red is reasonably content with his predicament (hard labour in prison to earn a softer punishment), but word of his sister and Jameson snuggling up together in bed irks him terribly, thus he makes his last and most fatal gaf. Amidst the plot, there is a minor debate raging on, that regarding the usefulness of the penitentiary system. What happens to the men on the inside. Whose tendency for insubordination is transformed, who is willing to change their ways and become a better citizen, who simply breaks down and what of that latter group? Could they have been transformed differently, in, say, more productive ways? San Quentin never seems entirely certain of which stance to take. That is not to say that I was entirely expecting it to nor that it must, but its story development hints that it considers both the pros and cons of the system. Red, for example, is a hooligan who gets into trouble fairly early in his stay in Quentin, which lands in solitary confinement. Jameson nonetheless has faith in the man’s ability to change (which might or might not be influenced in his interest in May), even going so far as to award him with minimal privileges once Red demonstrates better behaviour. Once Red discovers that his sister and Jameson are getting a little to cozy together for his liking, he accepts to break out of prison and outpour his frustration on the yard captain at the next opportunity. Just before he gets his chance to stick some lead into Jameson’s guts, he finally understands that Bella and Jameson love each other very much, prompting him to make a unplanned and messy escape from the police. The coppers do not catch him just yet, but red does receive a nasty bullet. Just before dying, he desperately makes his ways back to prison to show that he had changed, that he wanted to finish his sentence.. I saw it more as a final message of apology towards both Bella and Jameson. An admirable act, but I was not sure if the opportunity to actually better himself in prison had much to do with anything. It could not have, since he surely knows that his minutes are numbered once he gets shot. His final dash back to Quentin is more symbolic therefore. Still, there was a period in the middle portion of the story when Red was showing a willingness to follow the rules and take advantage of whatever good things he could during his sentence. 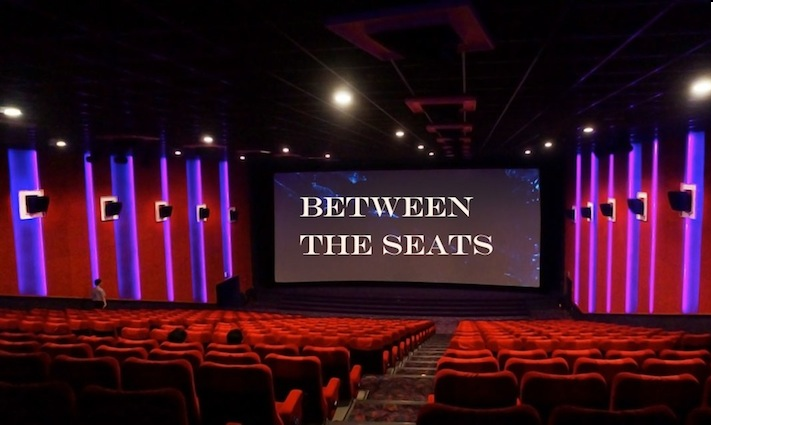 Overall, the movie is perhaps a bit muddy in what it tries to say about the penal system, but this is a minor complaint in what is overall an entertaining movie. 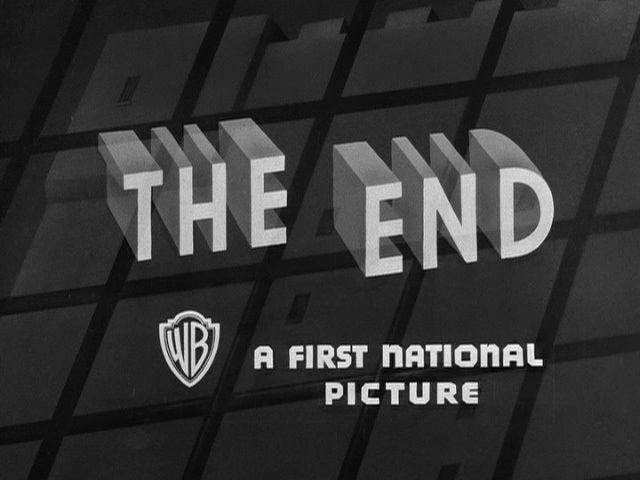 The old 1930s Warner Brothers are fantastic capsules of what movies were like back then. The morals of the time might seem outdated, as does the language (although the coolness of the many lines heard in these movies is something I will defend to death! ), but for those willing, there is still an entertainment value to be had as well as interesting peaks into the psyche of the times. San Quentin is no masterpiece. But it has its moments.